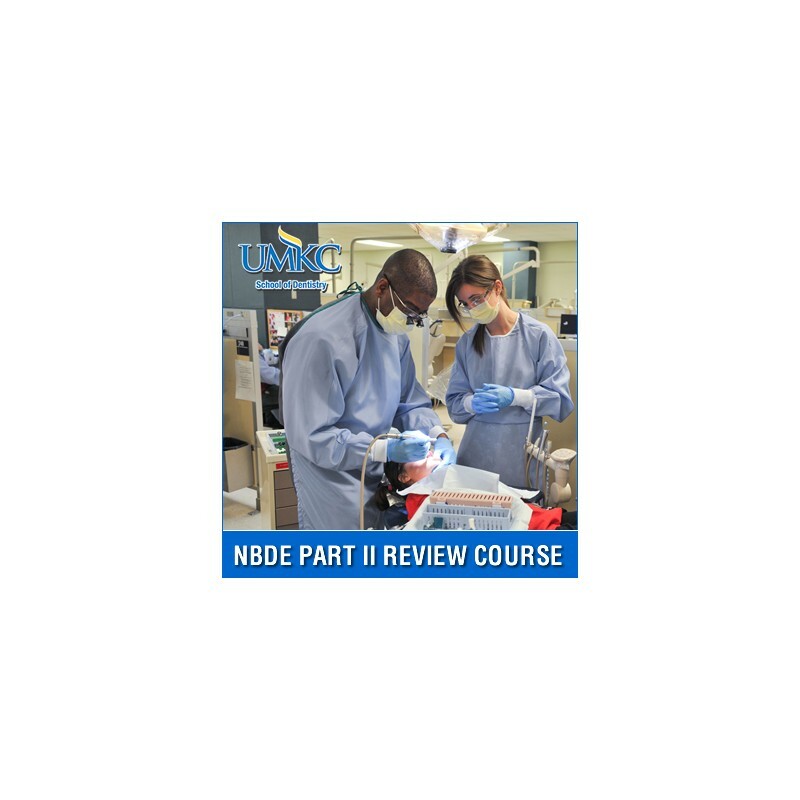 The On-Demand National Board Dental Examinations (NBDE) Part II Review Course is a comprehensive review of all subject areas covered by the NBDE II exam. All dental students in the U.S. and Canada, as well as foreign dentists wishing to obtain licensure in the U.S. must take and pass National Boards - Part I and II as part of individual state licensure requirements. 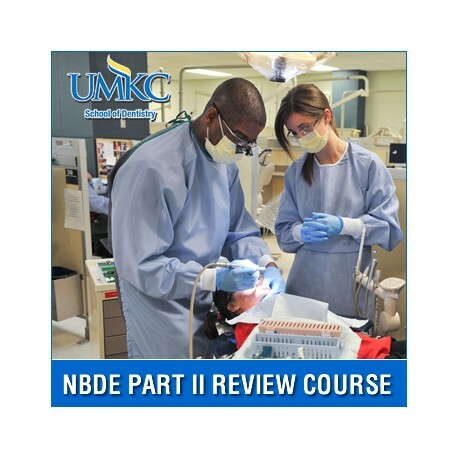 In an effort to help dental students prepare for the National Board Dental Examinations, the UMKC School of Dentistry has developed a review course for the NBDE Part II examination. The On-Demand National Board Dental Examinations (NBDE) Part II Review Course is a comprehensive review of all subject areas covered by the NBDE II examination. This includes Endodontics; Operative Dentistry; Oral and Maxillofacial Surgery/Pain Control; Oral Diagnosis; Orthodontics/Pediatric Dentistry; Patient Management, including Behavioral Science/Dental Public Health & Occupational Safety; Periodontics; Pharmacology and Prosthodontics. This unique on-demand NBDE Part II Review Course will allow you to review each of the 9 subject areas on your computer from anywhere in the world. These subject areas are covered in a series of recorded lectures. A Self-Assessment Exam (SAE) is included. All handouts will be in digital format and can be downloaded to your computer. You may review any lecture for a period of 90 days from the date of purchase. The registration fee for this course is $550.00. Sign up now!